Adelaide - The Proteas’ bowling unit knows that achieving victory against Australia will require some hard yards, as they prepare for the second Test match starting on Thursday. Morné Morkel was the top wicket-taker with three for 127 in the drawn first Test, and believes the bowlers are prepared to adapt to the challenge and the unfamiliar conditions at the Adelaide Oval. 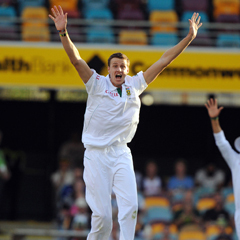 “The wicket at the Gabba was a good cricket wicket, you needed to work hard to get the results,” Morkel said. “As a fast bowler you understand it and that is the sort of thing you prepare yourself for mentally. The bowling unit has been touted as one of the best in the world, and they will be hoping for a marked improvement to give credence to their reputation. The no-ball issue is a discipline the attack is working hard on and hoping to wipe out after two front-foot no-balls accounted for wickets at the Gabba. Having been a consistent member of the line up for many years and with 153 wickets to show, Morkel knows all too well what has helped the Proteas to get to the top of world cricket and what is needed to remain there.